I know, I know. I just posted this recently, and it’s not really a foto, but given the somber subjects I’ve written about this week and the sadness We’ve all been feeling lately, I thought it appropriate to post it again. And, hey, while I’m at it, I think I’ll take the weekend off. To rest with the peeps. Give Them some extra licks and love. Maybe They’ll give me some extra belly rubs. Yeah! That’s an idea. So, y’all take care and Happy Labor Day to all my U.S.-based friends and expats around the world. And for those not familiar with our holiday, just have a good time and take the day off on Monday. And eat a taco for Jazzi. It’s a long holiday weekend where I live. I’m going to take THE WHOLE weekend off. Including Monday. So, y’all come back next Tuesday and we’ll catch up then, K? 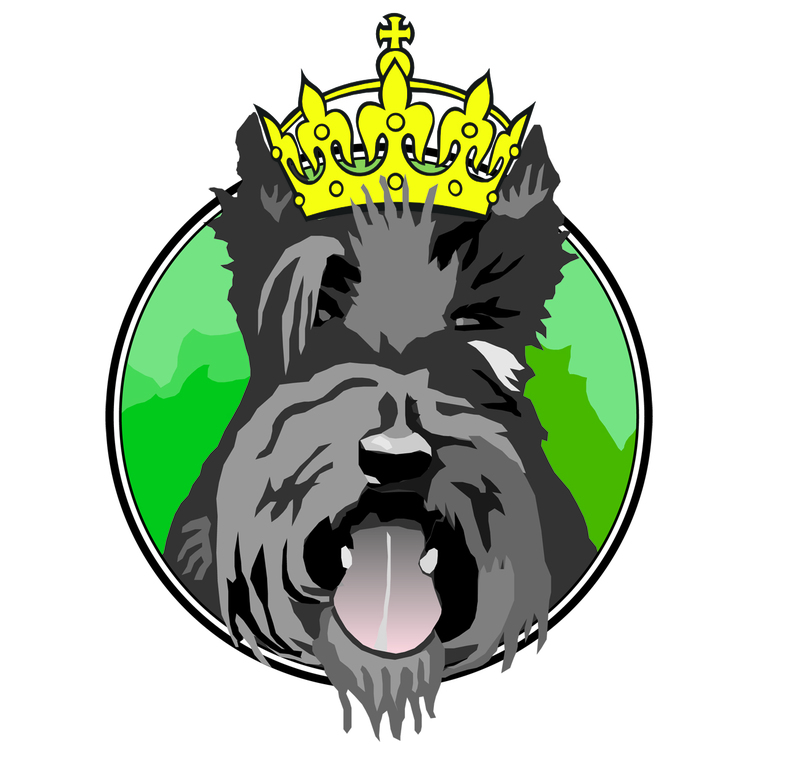 This entry was posted in The Scottie Chronicles and tagged art, dog photos, dogs, pets, Scotties, Scottish Terriers, Stuart the Scottie. Bookmark the permalink. LOL…. just for this weekend, fire yourself! Than you can rehire yourself and give yourself a raise! Yup, I also work for the biggest jerk in the world-myself. This is the first Labor Day that Lee has no plans for. Usually it is the last swim of summer and a big picnic. Nope. I think you have plans for extra hugs and kisses. I know I do. Great timing Stu…my mum needed the reminder today, really, really needed it! Keep calm and Scottie on is going to be her new mantra for a bit. I think that sounds like a good plan my Edgar friends. Have a very long, restful, quiet and green bean filled weekend! AROOOOOOOOOOO! My weekend starts tomorrow with a trip to the groomer where I get ‘scottified’ and then I will spend the rest of the time home chilling out, looking like a handsome devil, with my Peep! Three glorious days of R & R! Ahhhh, yes! Hope you have a doggone wonderful weekend, too, Stuart, with lots of belly rubs! Done. Wooo HOooooo! Your holiday sounded grrrreat! Have a pawsome weekend Stuart. Thanks, my friend. You too! I’m old. I’m retired. What’s the fuss about this Labor Day? I think I should retire, too. You’re not old, by the way. The peeps are old, but not you and not me. So there. Have a great long week-end Stuart! We will have a taco or two in Jazzi’s honor. information you offer. It’s good to come across a blog every once in a while that isn’t the same out of date rehashed material.